Indian Air Force: Boeing Transporter makes flight work of things! 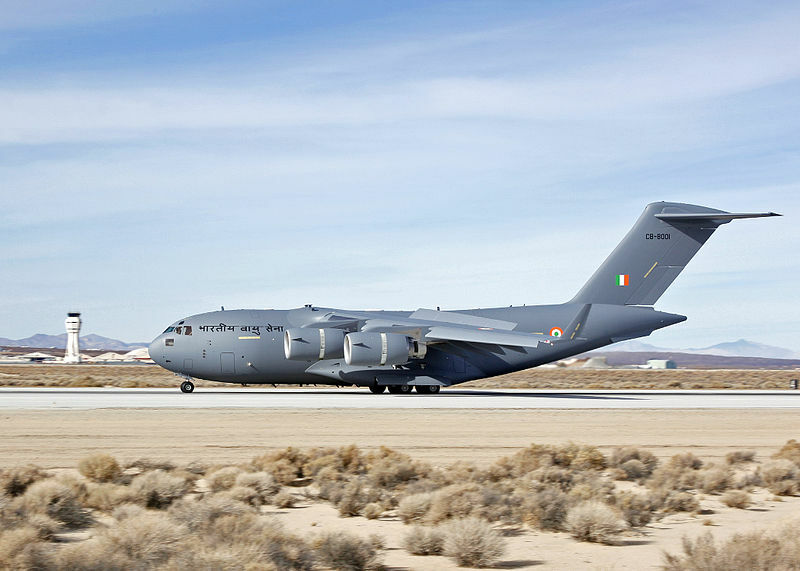 The Indian Air force are making light work of things by bringing in their third Boeing Transporter aircraft. Ten of these Transporter aircraft have been purchased from the US at a cost of billions, $5.1 billion to be precise, the deal was arranged in 2011. The aircraft is capable of easily transporting military tanks, the media have reported that these aircraft will be transporting tanks to the Indian borders; the reason for the spreading of tanks to the border is to act as a deterrent, and China have sparked India into a response. China has at the ‘line of actual control’ built up a military infrastructure presence and this has instigated India into a speedy response with their purchasing of the largest of Indian Air Force transporters. As mentioned before the Indian Air Force have three of these planes and by the end of this year the air force is expecting a delivery of two more and in 2014 another five more Boeing Transporters will have arrived amounting to ten large transporters for the Indian Air Force. 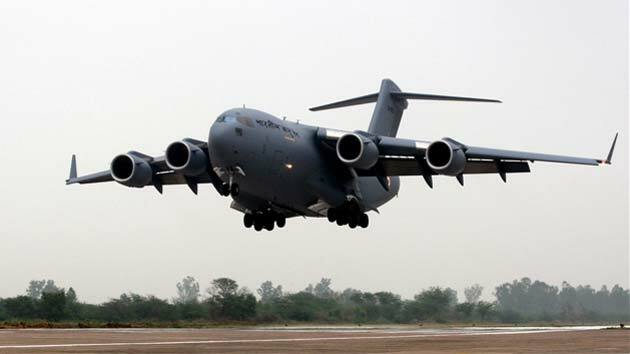 The transporter plane’s title is ‘The C-17 Globe Master III’ and it has already made its debut with a test flight at the Hindon base in Uttar Pradesh, India it is set to help replace its outdated Russian IL-76 airlifter fleet. The C-17 can carry 150 military personnel, can land on forward make shift runways and has a short turn around time, it can lift up to 70 tonnes in one go and will be used for the transportation of tanks, machines and personnel, it can also refuel whilst in the air. “The C-17 Globemaster transport aircraft will change the way we deploy forces in the North and North East,” said Air Chief Marshal NAK Browne. India are now enabled to deter threats of encroachment upon their territory, although they will still be working on developing their own infrastructure along the borders. The C-17 will certainly be making light work of things in the development process and help by transporting tanks to act as a deterrent. « The Eagles! Have Arrived! Swooping in for First 3 points!